Prime Greenwich – Opposite Cutty Sark DLR. Located between Tesco Express & The Gym. Creek Road, Greenwich SE10 9SW. Approx. 1,462 sq ft. 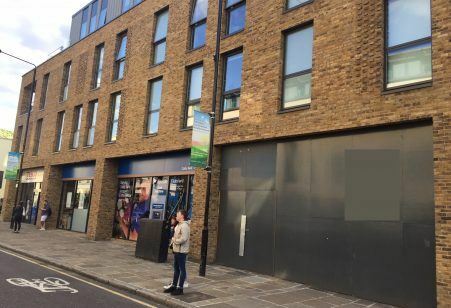 The last remaining unit within a new-build development, located on Creek Road, directly opposite Cutty Sark DLR. Immediately adjacent is a new Tesco Express, and a new The Gym. Other occupiers in the vicinity include Subway, JD Wetherspoon, Foxtons, Up The Creek comedy club, McDonalds and Superdrug.